We, at Wealthium, don’t overpromise and under-deliver. We, at Wealthium, design, build, and deliver solutions. The basic elements in our universe are: hydrogen, helium, oxygen, carbon, and nitrogen. Humans are made of hydrogen, oxygen (we have 60% water in our body), carbon, and nitrogen. Unfortunately, helium is chemically inert, useless to us humans, only to provide instantaneous Mickey mouse voice upon inhalation! An interesting fact is that the elements – that is, ordinary matter made of protons, neutrons, and electrons – are only 4.6% of the universe’s energy. The rest is made up of dark energy (68%) and dark matter (27%) or simply dark fluid. Now, from the fascinating facts and laws of our cosmos, let’s turn to observe our wealth universe. Stocks, bonds, currencies, commodities, hedge funds, and private markets act as elements used by wealth managers and family officers in portfolio construction. However, the effectiveness of these elements (i.e. asset classes) in generating returns depends on a number of forces: portfolio management approach (active or passive), utilization of technology and inferior motives (aka getting rich, or simply behavioral biases). It is, finally accepted, that the last two forces are somewhat observable but definitely not fully incorporated in the decision makers’ investment process. Adding some more “dark fluid” in the mix (crowded b2c space, race for AUM, uneven sophistication levels among stakeholders, low transparency, ever increasingly regulatory burden, central banking intervention, diminishing margins) we are staring at an unstable, yet ever growing, wealth universe. This was the reason we decided to position ourselves on the b2b channel and create Wealthium. 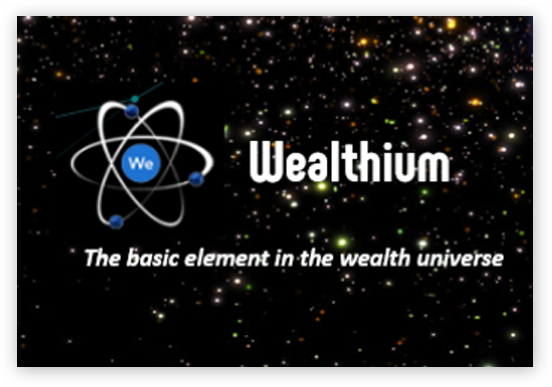 Wealthium is the basic element in the wealth universe, empowering decision makers on multiple levels combining technology and cerebrum (aka human brain). 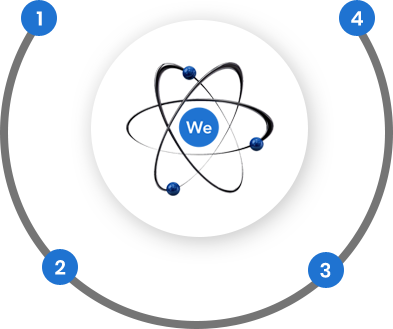 The combination of the technological capabilities (modest word for Fintech) that deliver unbiased and refined information, together with human expertise (discretionary and biased process of information) is what lies inside Wealthium’s molecular structure. “Empowering” is not an empty word in our case; it is a well thought, well designed, well executed approach to deliver solutions that make our clients’ investment process faster, simpler, and better. Team has investment research track record on multi asset, high conviction advisory, tactical asset allocation and global macro. Team has more than 80 years of track record on discretionary and advisory mandates.